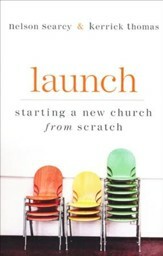 Some churches grow rapidly, only to hit a ceiling. 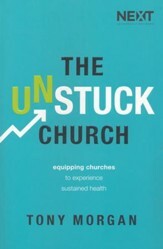 Other churches have experienced declining or static attendance--many of them for decades. 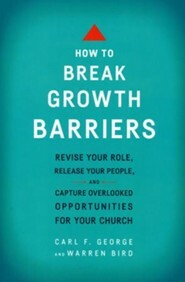 Frustrated pastors and church leaders want growth methods that work, but without adding to pastoral fatigue. 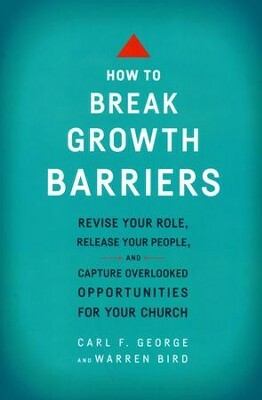 How to Break Growth Barriers argues that growth comes when effective leadership and lay-empowerment skills work hand in hand. This requires a shift of focus from the shepherd as the primary caregiver to shepherd as developer and coach of many caregivers. 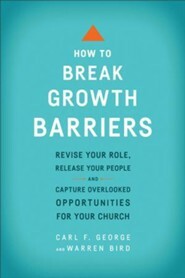 The authors show pastors how to communicate a vision for the future and then how to lead the congregation into the paradigms necessary for potentially limitless growth. The strategies found in this book are not only tried and true, and taken from a biblical perspective of a "harvest" vision. They're also newly updated to reflect our changing culture, including helpful charts and checklists for self-evaluation. Carl F. George, one of North America's premier church growth consultants, has trained pastors, staff, and top executives from more than one hundred denominations. He is former director of the Charles E. Fuller Institute of Evangelism and Church Growth and former president of the American Society for Church Growth. 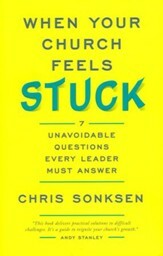 His other books include Nine Keys to Effective Small Group Leadership. He and his wife, Grace, live near Greenville, South Carolina. Warren Bird is an ordained minister and teaches at Alliance Theological Seminary. 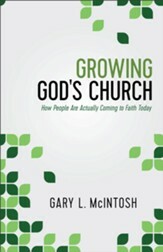 He is also author or coauthor of twenty-eight books, including Next: Pastoral Succession That Works. He and his wife, Michelle, live in a suburb of New York City. I'm the author/artist and I want to review How to Break Growth Barriers, updated: Revise Your Role, Release your People, and Capture Overlooked Opportunities.